Problem: do not want to eat anything. Solution: buy discounted cherries, plums, snack all day on produce. 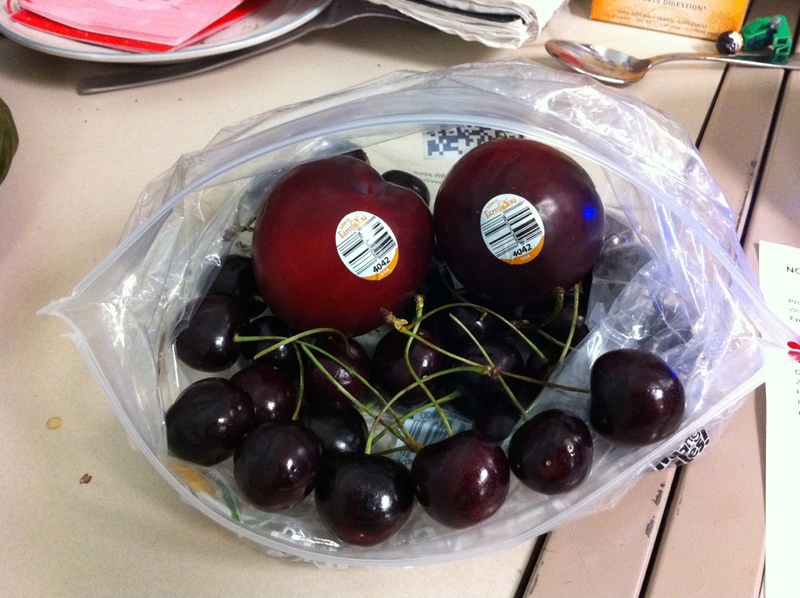 Not pictured: the pound of cherries I have already eaten from this bag. This entry was posted in food and tagged food, monday meals, mood, Photos. Bookmark the permalink.